David Mortara is founder and president of Mortara Instrument, a medical instrumentation company based in Milwaukee , Wisconsin that makes cost-effective and dependable electrocardiographic systems, serving both primary care doctors and hospitals. He has been a leader in the field of electrocardiography for some thirty years, making several significant contributions to cardiology. As head of engineering at what was then Marquette Electronics, he was instrumental in the development of several products. He created the 12SL resting ECG interpretation program, which became widely recognized as the leading resting interpretation algorithm. Also while at Marquette , he established the first digital ECG transmission protocol for communication of data between electrocardiographs and a centralized storage system. 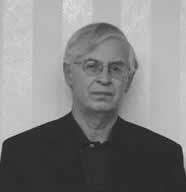 He founded Mortara Instrument in 1982. Under his leadership, the company has developed several ECG components and algorithms that are widely recognized for their superior performance and accuracy. Dr. Mortara serves as the industry co-chair of the AAMI ECG Committee, which is responsible for establishing performance standards for cardiac monitors, electrocardiographs, Holter monitors and stress exercise equipment.